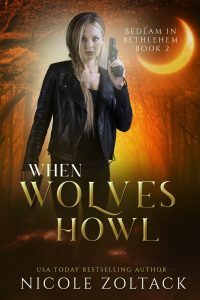 Detective Clarissa Tempest knows firsthand that vamps are real, but now there are new problems that seem to be pointing toward… werewolves? Seriously? It’s bad enough it took Clarissa endangering herself to convince her fellow officers that vamps are real, but now there’s a rash of killings with animal markings from wolves or another large animal, only Bethlehem, PA definitely isn’t home to those kinds of predators. But then she witnesses an animal attack… and the animal shifts into a man. Clarissa has faced down vamps. She’ll charge against werewolves, too, and pray that a swipe of their claws won’t turn her into one of them, because, really, that’s the last thing she needs.